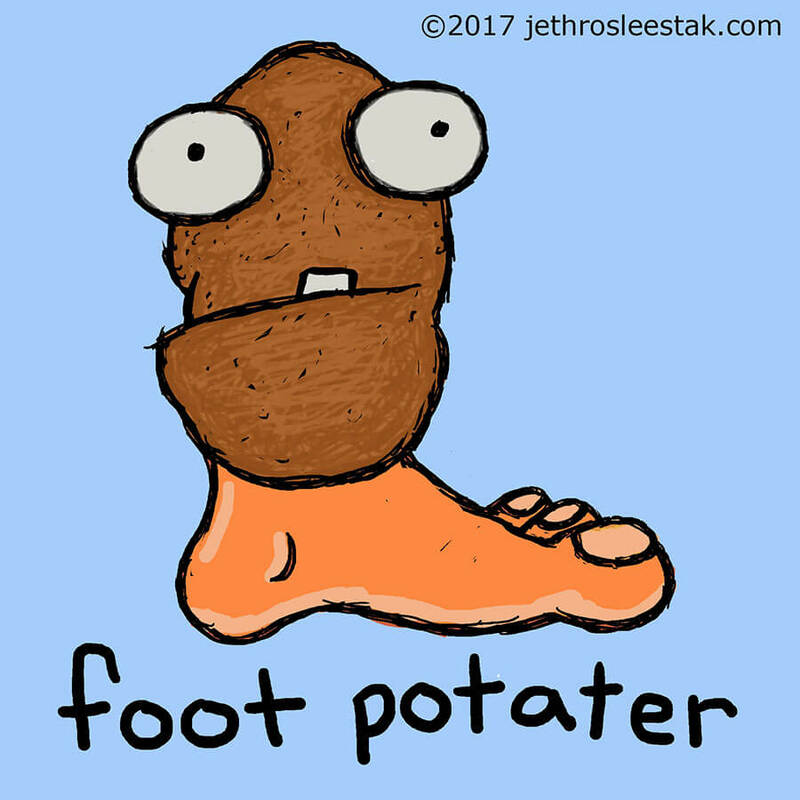 Foot Potater lives in the all-you-can eat buffet bar down at the steakhouse across from the airport, the one that keeps closing and reopening. Foot Potater made himself a nest from all the used tissues that people drop onto the salad bar while they talk on their cell phones or yell at their kids or just don’t pay attention. Foot Potater’s knows that he isn’t supposed to, but he often takes a crap in the far end of the hot bar instead of getting down, usually into the chicken-fried steak or the sloppy joes or the special if it has gravy.